In Karl Marx's early writing (first made available many years after his death) his economic interpretation of history and his concept of communism were set in a comprehensive philosophical framework. Marx's main preoccupation at this time was with man estranged from himself in an alienated world: a subjective, almost religious theme.Taking full account of these earlier writings, Robert Tucker critiques and reinterprets Marx's thought. He shows how its origins can be located in earlier German philosophers, in particular Kant, Hegel, and Feuerbach. Reconstructing the genesis of Marxism in its founder's own mind, he clarifies Marx's mystifying contention that Marxism represented Hegelianism turned 'on its head'. He then presents a new interpretation, based on close textual analysis, of the relation between Marx's early philosophical system and the subsequent materialist conception of history as expounded in the later and best known writings of Marx and Engels. Against this background, Tucker presents Das Kapital as a work belonging to the post-Hegelian mythical development of Germany philosophy. Considering in turn the genesis of Marxism and the underlying continuity of his thought from the early writings to Das Kapital, Tucker shows the theme of alienation is central throughout.In the years since the book was first written, comments and criticism have encouraged Tucker to change his position somewhat. 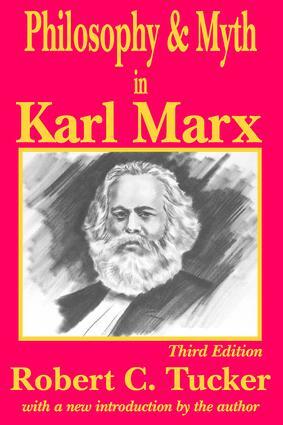 This is explained in a new introduction that goes beyond the interpretative enterprise of the rest of the book to assess Marx in relation to contemporary concerns: first it presents a critique of Marx's treatment of alienation and then it comments on the moot problem of the continuing relevance of his social and economic thought. On the latter point his views have matured and altered during the intervening years and he now finds the economic and social aspects of Marx's thought considerably more relevant than he did before.